It's another Friday and I've got another Valentine's Day manicure to share. 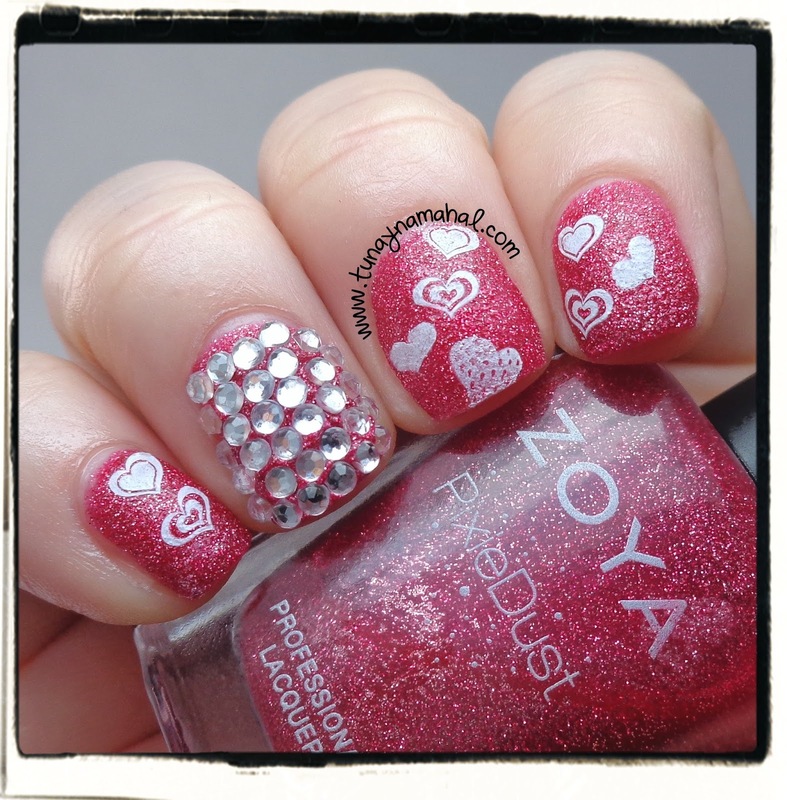 I used Zoya Miranda this time and blinged out my ring finger with rhinestone's from Sally Hansen's nail art line. It's something a little different than I would normally do. If I had glitter I would have too since the rhinestones are a little larger. I stamped with Winstonia Store 2nd Gen plate W207 with Konad Special White polish.